It's the most wonderful time of the year...and we're not talking Christmas. No, we're talking about ICCA season. 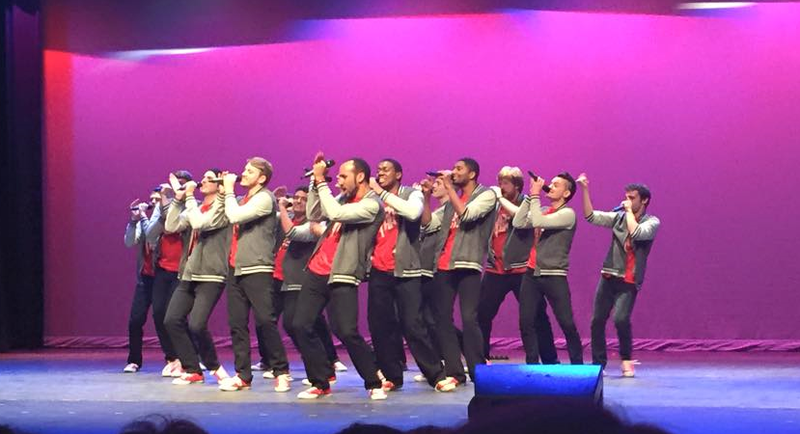 For the uninitiated, we're talking about the International Championship of Collegiate A Cappella. The real-life competition portrayed in the movie Pitch Perfect. We are less than one week away from the year's first quarterfinal and we are trying our best to contain our excitement. Over the next few days, we'll be featuring some of our favorite performances over the last few years. To get things started, we're taking a look at the 2015 Semifinal set of Buck That! from Ohio State University. We'll go ahead and warn you that their infectious energy is off the charts with one of the most creative interpretations of "Uptown Funk" we've ever heard. They also deliver a touching ballad in "Dear Nicole" and bring the house down with "Run and Tell That" from the musical Hairspray.